Investing in granite countertops for your kitchen is a wise decision. It enhances the value of your Toronto home in the eyes of a potential buyer, gives you as much as 100% ROI on the investment and most importantly, provides you with years of stress free kitchen maintenance. It will be a decision that you will cherish for the rest of the time you live in the home. If you have already nailed down the colour and the patterns of the stone, then there’s one final aspect that demands your time and attention, the finish. There are three popular choices when it comes to finishes in Granite. 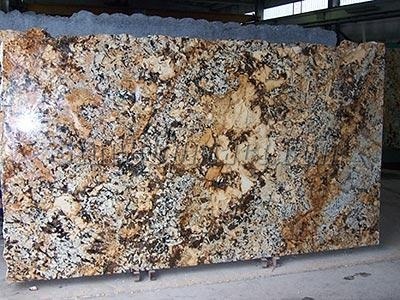 The one you choose can give your countertop a unique look that can accentuate the aesthetic appeal of your kitchen or bathroom. Undoubtedly, the most popular choice among homeowners, polished granite countertops with their mirror-like surface make the kitchen appear more spacious than it actually is. Polishing is achieved through a buffing and grinding process leaving the stone shiny and smooth. With regular maintenance, granite can retain the high-gloss look for years. Even if the shine starts to fade, you can always reseal the countertop making it look as good as new. Polishing also has another lesser known benefit. It brings out the muted colours in Granite. Polished granite countertops will become the focal point of your kitchen. So, if you want to highlight another aspect of the décor, like the splashback, then you can opt for a subtler finish. Also, if you already have glossy finishes in your kitchen, then a polished countertop may look overwhelming. Mixing your finishes will help you minimize this to a great extent. Use polished finishes on the perimeter counters or on the island and other finishes elsewhere. If your kitchen décor demands a more muted countertop design, then you can choose a Matte finish, also known as a Honed finish. Honing is achieved through a sanding process leaving the stone with a smooth but non-glossy surface. 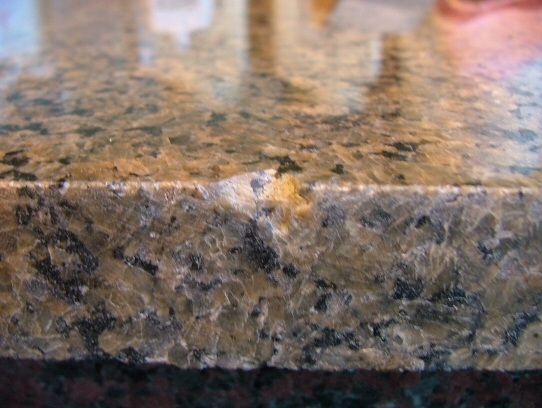 Honed granite countertops have a slightly rustic feel to it and may require resealing more often than glossy surfaces. But they accept and redistribute light. Another advantage of using a matte finish countertop is that it can easily conceal flaws since it does not have a reflection. This makes it an ideal choice for low traffic areas of your Toronto home. Leathering is a specialty process that involves the use of an abrasive diamond brush to create a unique surface that blends in lines, patterns and absorbs flaws. A leathered finish echoes the natural characteristics of the slab. Depending on the mineral content in the slab, different layers of shine and matte appear alternatively on a leathered granite countertop. If you have a high traffic area in the home that demands a countertop surface that is extremely resilient to wear and tear, use a leathered finish. There are other finishes also like the flamed finish which involves exposing the granite surface to high temperatures. Your choice of countertop finish should depend on the intended use of the countertop and the rest of your kitchen décor in your home in Toronto.